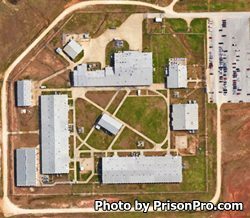 Hamilton Unit is a minimum security pre-release facility located in Bryan Texas, part of Brazos County. Hamilton Unit houses a maximum of 1,166 level G1 and G2 inmates. Offenders incarcerated in a minimum security prison can expect a greater level of freedom and are often allowed a greater number of phone calls, contact visits, and both in facility and out of facility work opportunities. The primary role of Hamilton Unit is to prepare inmates for an upcoming release, which can be as far out as 24 months. Hamilton Unit readies offenders in various ways, including the RIO program (which stands for Re-integration of Offenders). The RIO program works in collaboration with the Texas Workforce Commission and is responsible for job preparation services, often working with the offender to secure a job to report to the day of, or day after their release. The program also informs potential employers of the tax credit they receive for hiring an ex-convict, which can sometimes be thousands of dollars. While reports of this program are controversial the recidivism rate is much lower for offenders who participate, and many become highly productive working members of society. Ultimately an inmate's level of participation and their individual success relies solely on them. Educational opportunities at Hamilton Unit include adult basic education, literacy courses, peer education and a variety of technical training including: heating ventilation and air conditioning, refrigeration, and plumbing. Additional programs are provided and include job skills preparation, substance abuse education, life skills, religious studies and worship services. Hamilton Unit allows inmates to have visitors once per weekend. Visits are conducted on Saturdays and Sundays from 8am to 5pm and are a maximum of two hours in duration. Visitors are allowed to bring up to twenty dollars in quarters to use in the visiting room vending machines, quarters must be contained in a clear Ziploc bag.